Home Press Release DSRC Technology Market is estimated to grow at a CAGR of 3.20% to reach value of $121.64 million by 2023. In the Report “DSRC Technology Market: By technical specification (Technology, Electromagnetic Spectrum, Standards); By Transceiver (OBU, RSU); By Vehicle Types (Passenger, Commercial); By Frequency (5.8 GHz, 5.9GHz); By Application (Mobility, Safety, Toll) & By Geography – Forecast (2018-2023)” published by IndustryARC, the market is driven by the improving traditional surgical process that has reduced the complication rates in surgeries and shortened surgical time period. Asia-Pacific is the leading market for DSCR Technology market for the forecast period of 2018-2023. The Asia-Pacific market is expected to register a value of $70150.80thousand in 2023. China is the dominant region for DSRC Technology market, followed by Europe the second leading region to gain $20929.30 thousand in 2017, which is expected to grow at a CAGR of 9.82% to reach a value of $36705.80 thousands by 2023. The American market is witnessed to grow at a faster CAGR of 11.92% to reach a value $12212.80 thousands by 2023. The freight transportation system is one of the sector backing North American economy. DSRC Technology is to be combined in commercial vehicles for traffic management, vehicle movement monitoring, and others. DSRC Market shipments market is segmented into Transceivers, which is further sub-segmented into Onboard Unit and Roadside Unit. The Onboard Unit segment accounted for total sales of $76.4 million in 2017, which is projected grow at a CAGR of 5.8% to register a value of $106.9 million by 2023. The market for DSRC Roadside Unit was estimated to be around $24.2 million in 2017. This is projected to decline with a negative CAGR of 5% in the forecast period 2018-2023. In the future, the RSUs market will become successful for the specific year 2021, which will reach a value up to $21.7 million. In vehicle segment, passenger vehicles and commercial vehicles are two type of vehicles segment, among which passenger holds the maximum share in transportation vertical. The passenger vehicle market is expected to grow at a CAGR of 6.8% to register a value of $90.3 million by 2023. The commercial vehicles segment is expected to grow at a CAGR of 1.0% to reach register a value of $16.7 million by 2023. • DSRC plays a significant role in enhancing the safety of vehicles by providing communication on both V2V and V2I networks. 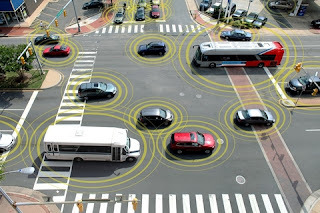 Thus, several applications are being developed as vehicle monitoring activities are increasing the market for dedicated short-range communication market. • Road transportation is undergoing a diverse technological evolution to increase the safety standards of drivers, vehicles, and pedestrian. With the advancement of various vehicular communications, technologies are incorporated that will help the market to grow. • Growing promising governmental regulations and increasing safety concern among common people will drive the market for the adoption of DSRC Technology and setting to exhibit significant growth. The major companies related to DSRC technology comprise of Kapsch Group, Norbit, Arada Systems, Savari, Codha Wireless among others. Kapsch Traffic AG is known to serve in the regions of Europe and America with applications such as High-speed open road tolling, lane-based ETC and HOT lanes, ITS safety and security services, etc. Cohda Wireless is known for designing of products and has it reaches in the regions of Asia-Pacific and America, for its V2X communication application. Savari is established for serving in hardware and software solutions in the application area of Safety and Tooling. In several years, DSRC Transceivers & Chipset suppliers had collaborated in the market to retain the opportunities emerging with on-going development of V2V market ecosystem.